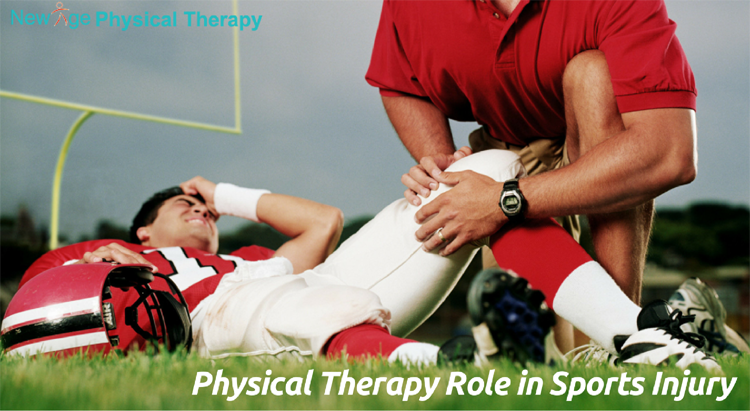 How Physical Therapy Plays Major Role in Recovering from Sports Injury? For many sports injuries athletes have to go thru physical therapy to get back to their optimal function level. It is common problem to having injuries while participating in large or small sports organized by any organization, having competition, getting hard training and exercises as well as physical therapy or fitness activities. Less trained technique used in sports, improper warm-up, doing overuse of any sport or exercises, lack of conditioning are few cause of having sports injuries. If athletes are using poor technique bio-mechanically they are more prone for injuries. Improper warm up can lead to muscle strain. Lack of conditioning can lead to muscle or ligament injuries. Overuse is major contributor to an injury. Most of the athletes are highly motivated and they over train themselves, spent more time practicing or training that can lead to overuse injury. Coping with sports injuries often require skilled physical rehabilitation. Physical therapist helps athletes rebuild their strength. Also physical therapist can help them to achieve optimum flexibility. Physical therapist can evaluate athlete and help them control their pain, help them to heal faster, keeps muscle flexible, condition them with proper bio mechanics and teach them how to prevent injury in future. With help of New Age Physical Therapy Whitestone, NY skilled physical therapist athletes can go back to their sports and perform at their optimal level.